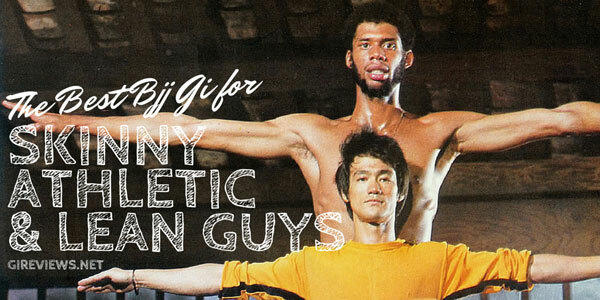 The Original Zuri Gi is a first foray into the gi market for Florida based Zuri Gi Company. A quick google search taught me that Zuri means “beautiful” in Swahili, and some of the stylistic motifs of this gi have a distinctive African styling. Before reviewing the gi I had never heard of the company. Upon receiving it I found that the materials used are excellent, and the patterns and designs chose by the company give a sort of exotic spa feel. I wasn’t sure if I should roll in it or wear it to a hot spring. When I got the gi, the first thing I noticed was a rip stop bag with a striking African mask image on it. I also noted that there were no strong odors that you sometimes get when opening a new gi. This gi is an A3. As I always mention the very best size for my build is A2L but I can wear A3. This gi fits me like most A3 gis do, just a little bit baggy in some areas but definitely very wearable. Also I found that the pants are far roomier than any A3 pants I’ve ever worn. This didn’t affect performance but it looked a bit odd. 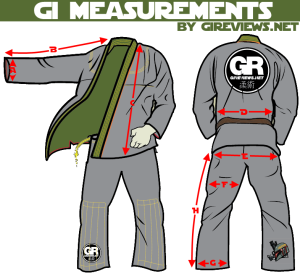 Whoever designed this gi had some really novel ideas, and definitely gets the grade for originality. It’s got a really clean/fresh look to it. 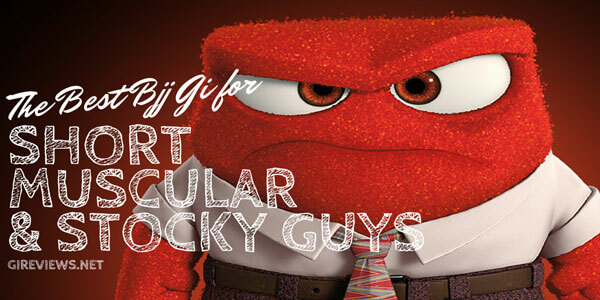 Starting with the font used for the logo: normally when you see fonts on BJJ gis they’re very “regular”. They are generally linear with either angles or rounded edges to give it a “regular” look. 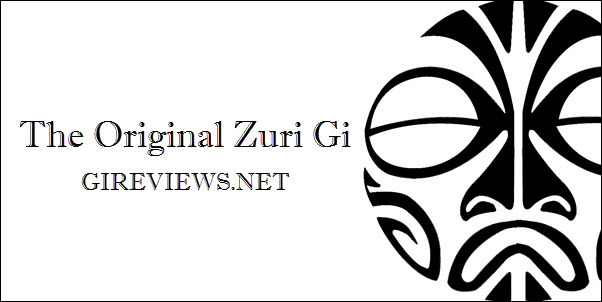 The logo Zuri chose is irregular as are the patterns and design motifs. The seamtape is a royal blue and black wave pattern, while the shoulder patches are a sort of African tapestry style, these are a combination of blue, black and grey colors. Another motif is a face mask which looks like a traditional African mask. The ripstop piping, stretchy rope draw string and contrast stitching is a nice royal blue. Everything about the gi design is clean and crisp. All the logos are embroidered and the seamtape and shoulder patches are woven and of extremely high quality. I’d describe the overall quality of this gi and the workmanship put into it as premium. 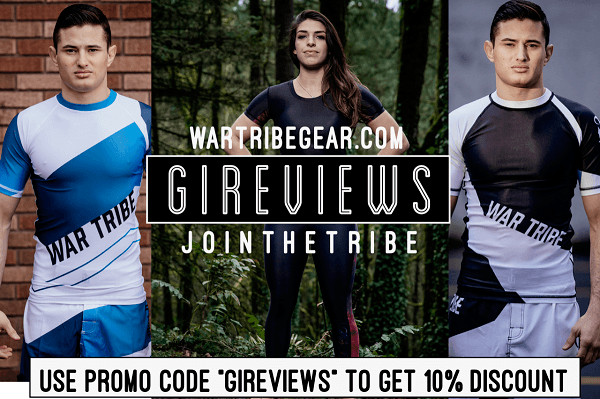 Check out these premium gis from War Tribe, Scramble, Venum and more! The jacket is made of a midweight pearl weave probably between 450-550 GSM. The lapel on this gi is among the thickest I’ve sampled, but isn’t terribly stiff. They made the lapel out of ripstop over EVA foam. It also has all the standard reinforcements near the side split and in the armpit. All the seams are triple stitched with a nice royal blue contrast stitch. One noteworthy aspect of this gi is the soft seamtape. The seamtape is similar to that in the Yolo Competitor gi in that there are no sharp edges. I really like the black and blue wave pattern. This gi’s jacket is one of the better ones I’ve reviewed, and after 4 months of regular rotation, shows very little discernible wear. The fit of the pants is my only real complaint about this gi as they fit much larger than other gis. The pants have the same triple stitching and seamtape as the top. They also have a double layer of ripstop that starts above the knee and ends mid shin. 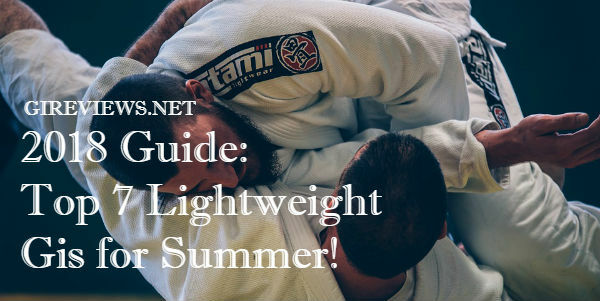 Many brands have opted for a full length double layer of fabric, this may be advisable for Zuri’s next gi. The gi performs very nicely. It is comfortable and well fitted. The excessive material in the pants did make some grips easier for my training partners, I don’t like slim fit gi pants but I do feel that these are a bit excessive. The gi material gusset and the extra thick lapel did give me an advantage during rolling. Zuri’s first product is a great one, and at this point they can be found at Zuri’s website for under 100$ shipped. I think this gi is a bargain at that price. My only complaint was that the pants were a bit too baggy, but that certainly didn’t stop this gi from being a very attractive and well made product. Disclosure: This Gi was submitted to me free of charge (by way of gireviews.net) for review. I have never done any work with or for Zuri Gi Company.